Yokogawa Electric Corp. has announced that it will release the ProSafe-RS® SIL2 wireless gas detection system in September. Established by the International Electrotechnical Commission (IEC), a safety integrity level (SIL) indicates the relative level of risk provided by a safety function. SILs 1 through 4 are defined by IEC 61508. At SIL2, the risk factor for a plant where safety measures are not in place is in a range between 1/100 and 1/1 000. At SIL3, the risk factor is in a range between 1/1000 and 1/10 000. 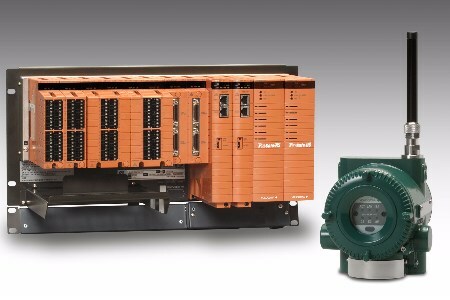 The ProSafe-RS SIL2 wireless gas detection system will consist of a newly enhanced version of the Yokogawa ProSafe-RS SIL3 safety instrumented system (R4.03.10), Yokogawa field wireless network devices, annunciator panels, and subsidiary of the German company Drägerwerk AG & Co., GasSecure, wireless gas detectors GS01 or the GS01-EA which is equipped with an extension antenna. The ProSafe-RS SIL2 wireless gas detection system will consist of a new version of the ProSafe-RS safety instrumented system, R4.03.10, that will be enhanced to add support for an IEC 61508 compliant safety communication technology used in distributed automation; annunciator panels; ISA100 Wireless compliant field wireless devices; and GasSecure GS01 or GS01-EA wireless gas detectors, which are the only devices of this type in the industry that achieve SIL2 risk reduction. The ISA100 Wireless network protocol is based on the ISA100.11a wireless communication standard for industrial automation, which was developed by the International Society of Automation (ISA), and the applications necessary for its implementation. This was approved as the IEC 62734 international standard in October 2014. On their Yokogawa CENTUM® VP integrated production control system screens, operators will be able to easily monitor the operation of the ProSafe-RS SIL2 wireless gas detection system as well as that of any conventional wired gas detection system. Since the GasSecure GS01 or GS01-EA wireless gas detector uses the same faceplate as a wired gas detector, operators will have no trouble identifying any changes in the detector’s status, thus helping to prevent errors that can result from the misinterpretation of information.